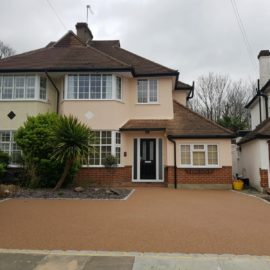 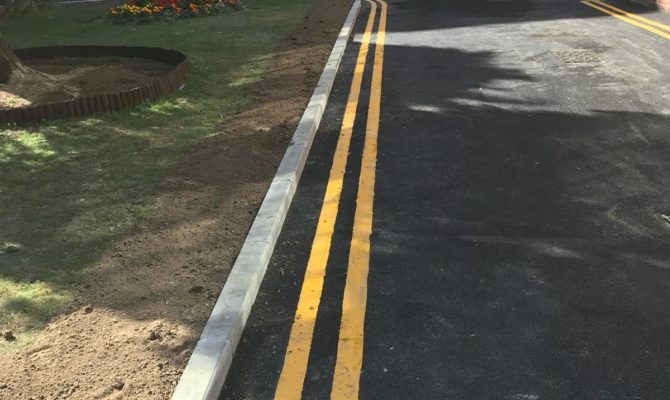 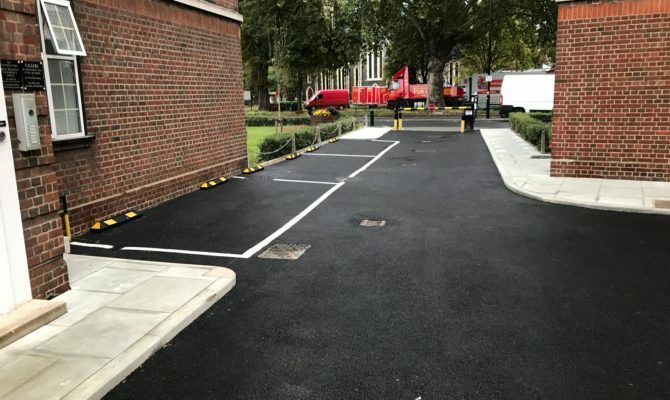 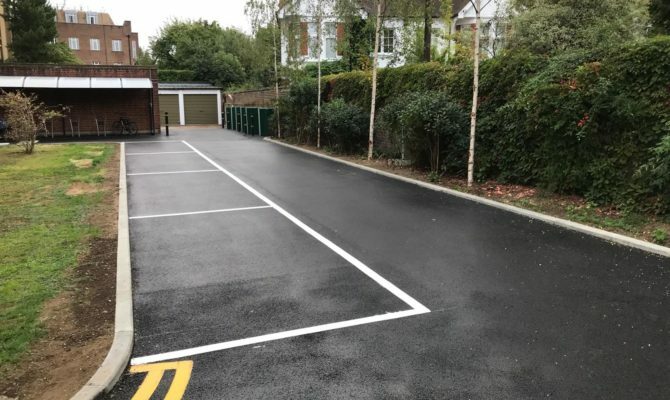 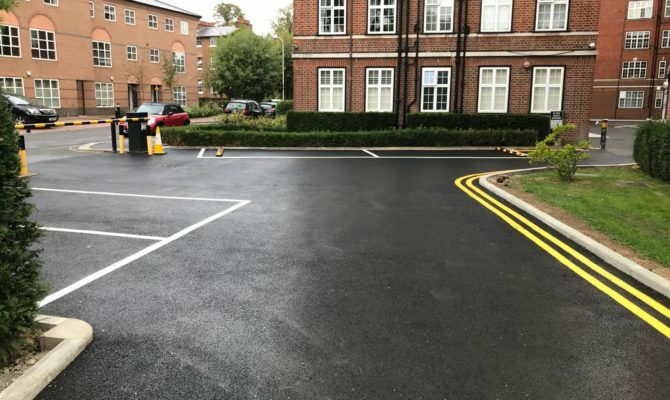 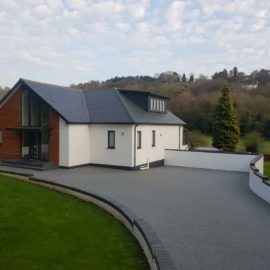 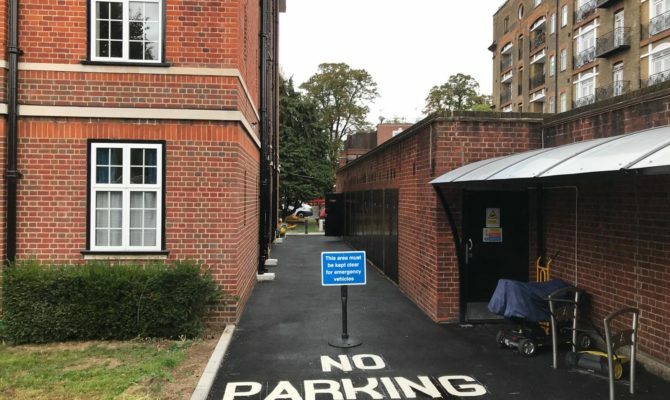 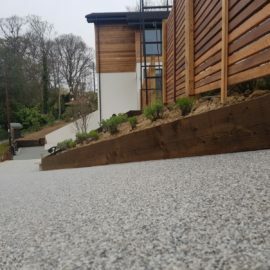 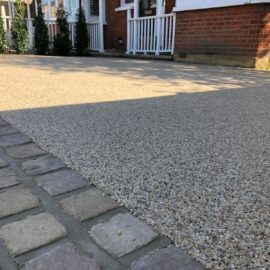 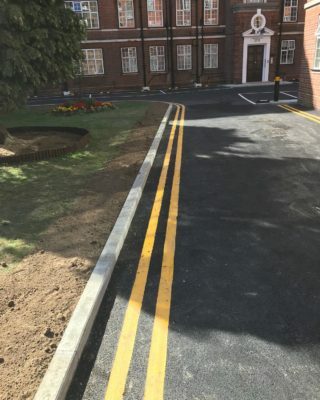 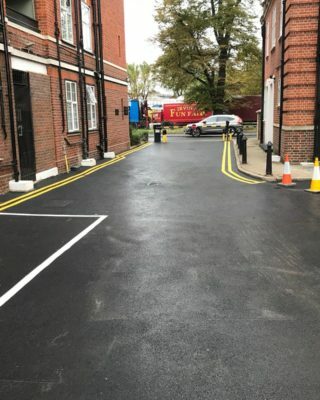 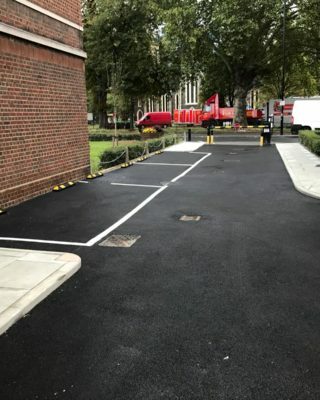 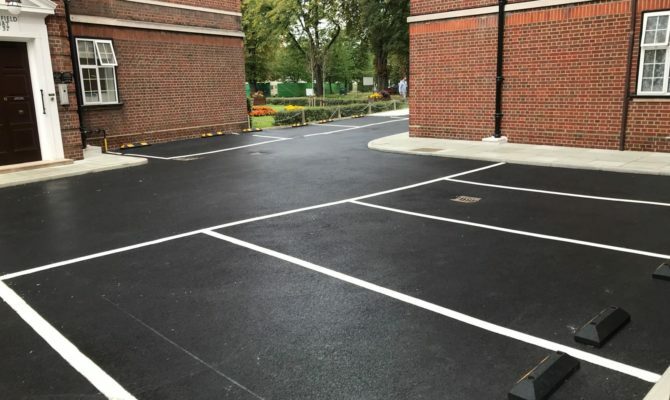 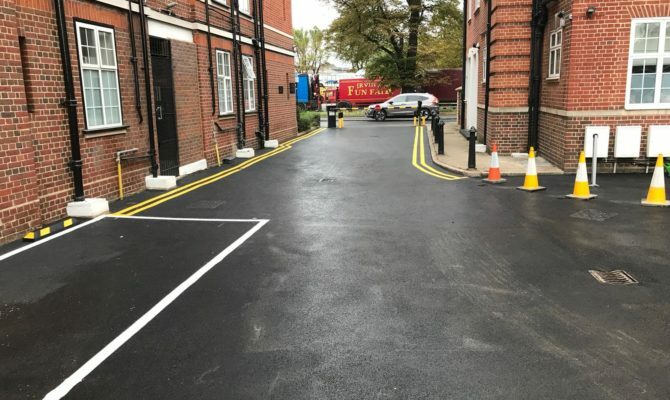 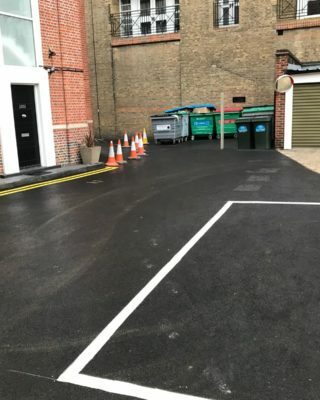 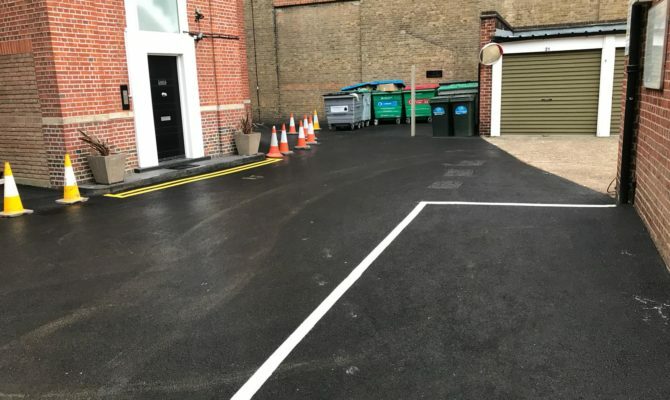 Works Included the excavation of existing surfaces, removing all soil and debris from site, renewing all kerbs, widening the access road, lifting and relaying some of the footpaths and reducing the depth of other footpaths. 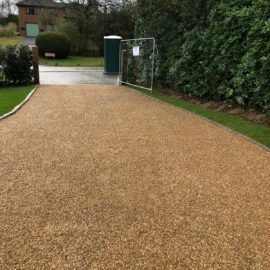 Completely re-surfacing all existing tarmac roadways throughout the Estate, manhole covers lowered as necessary. 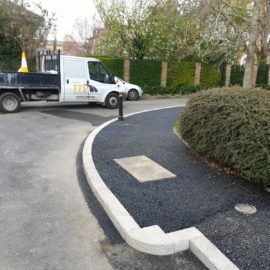 Removing all existing bollards and concrete posts located within the site. 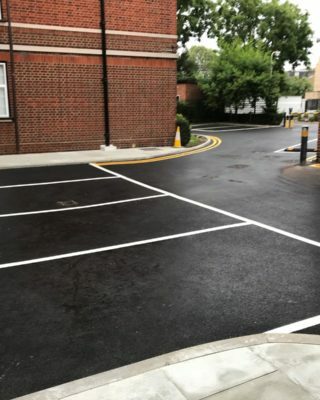 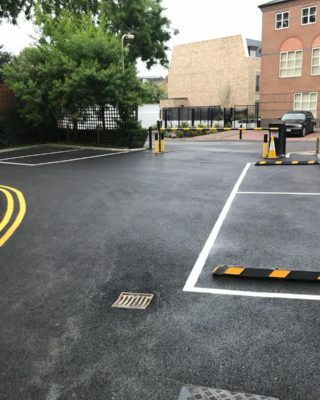 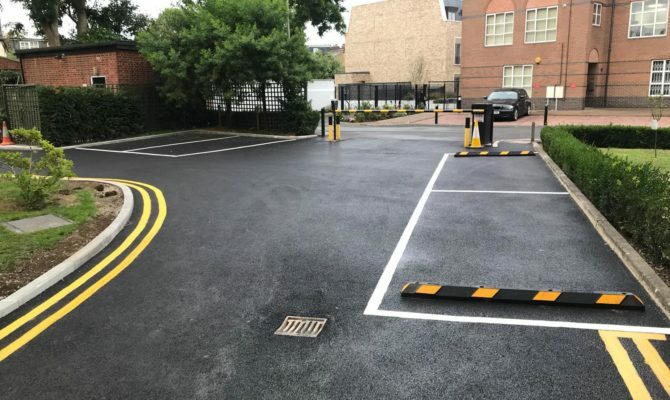 Supply and installation of Fixed Car Park Bollards. 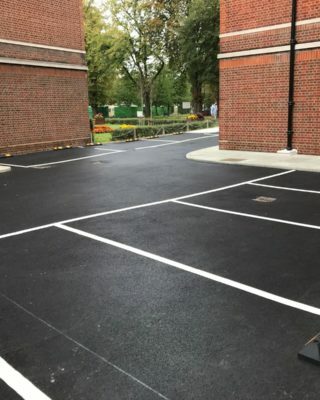 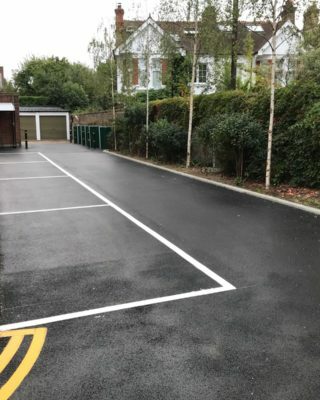 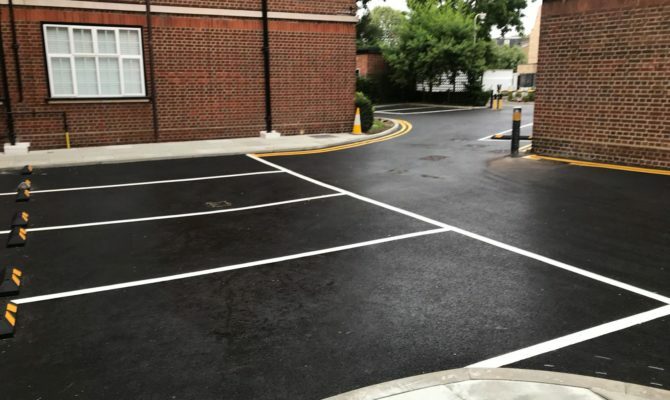 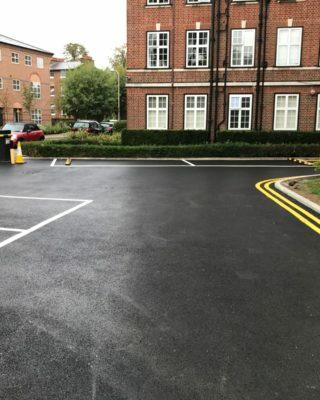 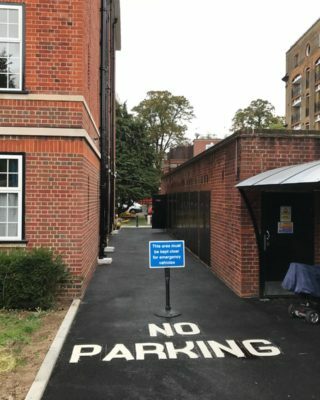 Allow for line markings to various locations including parking spaces, areas of caution and pedestrian safe paths etc..